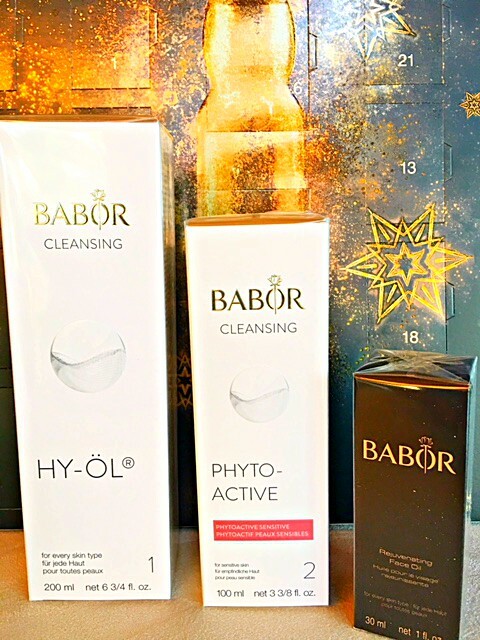 It’s not too often these days that a brand steps up and takes action to “super-please” its customers, but one of my favourite brands, Babor skincare, did just that for me recently by sending me the most wonderful package of their products. I’ve loved great skincare products for most of my life and they are especially important these days, given the TV work that I do (in an HD world, no less!). Regardless, who doesn’t love skin that looks and feels great every day? Cleansing HY-OL, a cleansing oil for all skin types. With oil-based cleansers being all the rage these days, Babor has combined the natural cleansing powers of water and oil and developed a unique bi-phase, deep action cleanser that promotes skin vitality. Phytoactive Sensitive, the treatment phase for cleansing with HY-OL, containing herbal essences tailored to sensitive skin types, designed to refresh and lend radiance. Since I love scent, I can’t wait to try this relaxing product. Rejuvenating Face Oil, a newly launched product designed to give skin an extra boost. Inspired by Dr. Babor’s research on lipids and by the black rose, this luxurious face oil lends new radiance to the skin. Looking forward to trying this product, as face oils provide such great moisturizing benefits. Hydra Plus Active Fluid, from Babor’s luxurious ampoule collection, Hydra Plus provides a moisture boost to dry and dehydrated skin. Algae Active Fluid, another powerful ampoule, bringing the benefits of the sea to dry, dull skin. 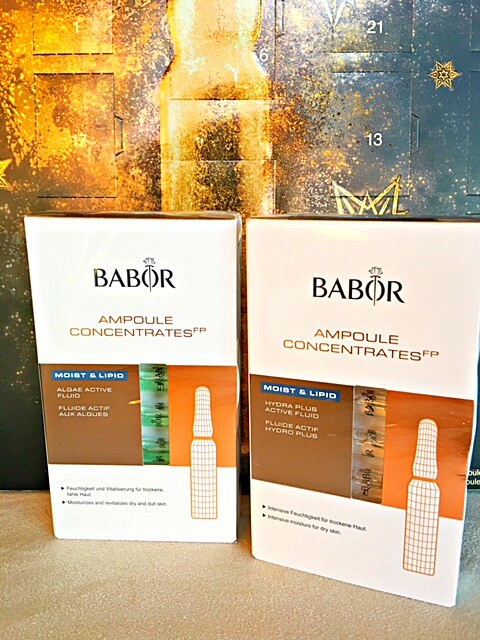 Ampoule Advent Calendar, and finally, Babor’s festive Advent Calendar featuring 24 ampoules from its collection, resulting in healthy, hydrated, and glowing skin, just in time for the Holidays. Who says we can’t celebrate all year long? I definitely have my Babor favourites, but I’m looking forward to adding some new products to the list. Brands that go out of their way to let customers know that they truly matter are more than worthy of a mention, and I’m pleased to do that here. Thank you so much! Eight years ago today, I was fortunate to be in Washington DC for the first inauguration of Barack Obama. How and why this came to pass is something that is known and understood by those who are closest me, but it suffices to say that a decision to be an active participant in history was a big part of it. It is an experience that will always be with me, and is, perhaps, one of the most important things I have ever done. Words seem insufficient to describe the magnitude of what it means to be a witness to history; it is truly humbling. It is equally difficult to begin to describe what that sunny day in Washington was like; one that seemed less about political parties and more about people, community, and the new days ahead. Although not everyone had voted for the incoming President, the sense of excitement and pride was clear. I’ve never seen so many exuberant people in one place; teary eyed, with open hearts, raising their voices to be heard. From my vantage point on the parade route, I listened to the ceremony as it echoed over the speaker system, alongside tens of thousands of others. I remember thinking that the solemn silence of the crowd at that moment seemed almost eerie, as if in some other world, time, and place. Maybe, they too where thinking about being in the presence of history that children would learn about hundreds of years from now. How much our world has experienced since then. 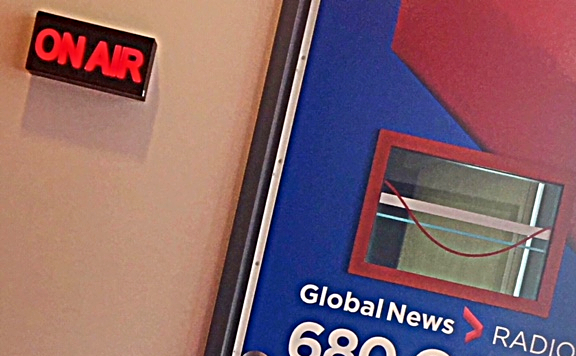 I recently listened to the archive of a radio interview that I did on that day and was struck my comments: so much happiness was in the air; pride, togetherness, inspiration. The call to action and responsibility for making the world a better place were met with careful contemplation. “What’s it like to be there?”, I was asked. “It’s great”, I said “people are so excited. What more can I say?”, I wondered aloud. I remember observing people of all ages connecting with one another in a way that I hadn’t seen before and haven’t seen since. The crowd wasn’t one of strangers; it was humanity, and they were there to be humbled, to bear witness, to celebrate. 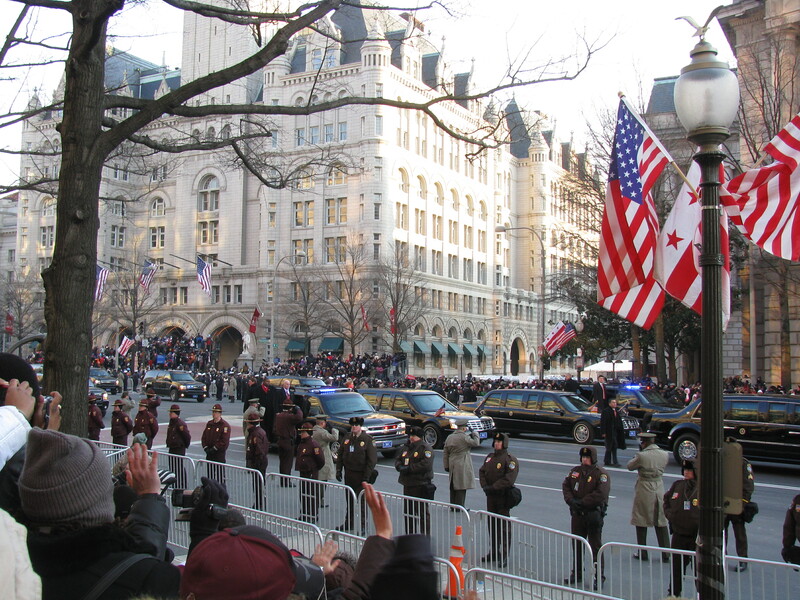 The roar on Pennsylvania Avenue was so loud as the motorcade approached, I could barely hear the reporter’s questions, but yet, I can remember it all now like it was yesterday (my time at the National Press Club moments later left me feeling equally awestruck, but that’s another story). As an advisor, I’ve found that groups have a much better opportunity for success when they can find common ground; areas where they recognize that they are more similar than they are different. In adversarial times, it can be difficult to find this state of mind, and I’ve been met with more than one blank stare or dead silence over the years when suggesting “why not collaborate?”, “why not talk to them?”, “why not listen?” What’s inspiring, though, are times when those around the table see this opportunity, understand it, and are motivated to take action. This mindset, even in some small way, reminds me of what I saw between strangers in the crowd on that special day, all those years ago.